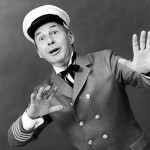 Wiry, impish, versatile, Tony Award®-winning American actor David Wayne (b. Traverse City, MI, January 30, 1914; d. Santa Monica, CA, February 9, 1995), in a career that spanned nearly fifty years, was almost always cast in supporting roles. Even though he made a significant impact in feature films, the three most important roles he played on Broadway – Og in Finian’s Rainbow, Ensign Pulver in Mister Roberts and Sakini in The Teahouse of the August Moon – were given to other actors in the screen versions. The long list of his television credits is close to overwhelming. Wayne James McMeekan’s father was an insurance executive in Bloomingdale, Michigan; his mother died when he was only four. After attending Western Michigan University he worked as a statistician in Cleveland, Ohio, where The Cleveland Play House was (and remains) a vibrant center of theatrical activity. He auditioned for, and won, the part of Touchstone the clown in Shakespeare’s As You Like It, and performed in front of an audience for the first time at the 1935 Cleveland Exposition. By April 1938 David Wayne was in New York City making a Broadway debut in the ensemble of a melodrama, Escape This Night. It lasted no more than eleven performances, but it was the beginning of a remarkably steady stage career. Wayne’s next appearance, in Dance Night, was even more of a flop, but it was directed by Lee Strasberg who undoubtedly recognized his talent. He was given a small role in The American Way (1939), an extravaganza directed by George S. Kaufman, which ran for 244 performances and brought Wayne his first critical praise. Turned down by the U.S. Army at the outbreak of World War II, Wayne volunteered as an ambulance driver for the British Red Cross in North Africa; he was even reported mistakenly as having been killed in the German victory at the Battle of Tobruk. 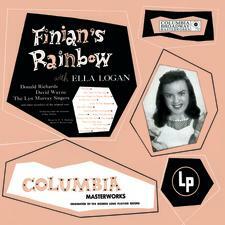 Upon his return to New York, his career picked up significantly: after several months in Lehar’s The Merry Widow and a couple of Broadway fizzles, in 1947 he landed the part of Og the Leprechaun in the Burton Lane/Yip Harburg musical, Finian’s Rainbow. It ran for over a year and a half, and brought David Wayne two very prestigious honors, the first-ever Tony Award® for Best Featured Actor in a Musical and the Theatre World Award. Wayne’s next play, Mister Roberts (1948), in which he originated the role of Ensign Pulver, starred Henry Fonda and was a huge hit. 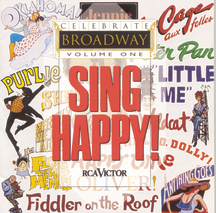 It won six Tony Awards®, including Best Play, and ran for three years. Somewhere along the way though, Wayne was replaced by Larry Blyden, for David Wayne was off to Hollywood and film stardom. He first appeared in the offbeat romance Portrait of Jennie (1948), then took on one of his most indelible roles, the caddish composer Kip Lurie in the Spencer Tracy/Katherine Hepburn classic Adam’s Rib (1949). He made three or four movies a year for the next five years, in roles ranging from the mud-caked infantryman in Up Front (1951) to the child murderer in the remake of M (1951) to the unfortunate small-town barber in Wait Till the Sun Shines Nellie (1953), and had the unique distinction of appearing in four films with Marilyn Monroe (As Young as You Feel 1951, We’re Not Married 1952, O. Henry’s Full House 1952, How to Marry a Millionaire 1953). Another of his memorable roles was theatrical impresario Sol Hurok in Tonight We Sing (1953). In 1953 David Wayne was back on Broadway, playing the Okinawan interpreter Sakini in the Pulitzer Prize-winning Teahouse of the August Moon, and winning his second Tony Award®, this time for 1954’s Best Actor in a Play. He split his time for the rest of the 1950s among Broadway (The Ponder Heart 1956, The Loud Red Patrick 1956, Say, Darling 1958, Send Me No Flowers 1960), Hollywood (The Tender Trap 1955, and most notably playing Joanne Woodward’s beleaguered husband in The Three Faces of Eve in 1957), and television appearances. Since 1948 Wayne had been no stranger to television, but in 1955 he starred in his own sitcom series, Norby, shot – although viewers were not aware of it because everyone had black-and-white receivers – in color. Episodes of it do not survive. Thereafter, he appeared on Playhouse 90, The Frank Sinatra Show, Alcoa Theatre, The Twilight Zone, Sunday Showcase, Wagon Train, Outlaws, Route 66, Naked City, The Virginian, and many, many others, not to mention game shows. He got one Emmy® nomination for Suspicion in 1958, and was a popular sensation as special guest villain The Mad Hatter on Batman in 1966. Later recurring roles were Inspector Richard Queen on Ellery Queen in 1975 and 1976, Digger Barnes on Dallas in 1978 and 1979, and Dr. Amos Wetherby in House Calls from 1979 to 1982. 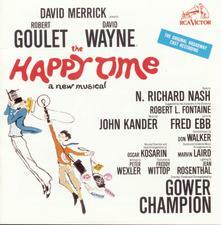 David Wayne acted in an exceptional theatrical event on Broadway in 1963, a revival of G.B. Shaw’s Too True to Be Good, with an all-star cast including Lillian Gish, Sir Cedric Hardwicke, Eileen Heckart, Glynis Johns, Cyril Ritchard, Ray Middleton, and Robert Preston. The director was Albert Marre. This led to a exceptional series of five plays in repertory, by playwrights like Arthur Miller and Eugene O’Neill, presented by the Lincoln Center Repertory Company at the ANTA Washington Square Theatre in 1964 and 1965, with directors Elia Kazan, José Quintero, and Harold Clurman. Wayne was in the cast of four of these: After the Fall, Marco Millions, But for Whom Charlie, and Incident at Vichy. Three years later he picked up another Tony® nomination for Best Actor in a Musical for The Happy Time. In the ’70s and ’80s David Wayne focused principally on television and film acting, most notably as Dr. Charles Dutton in Michael Crichton’s The Andromeda Strain (1971), as the Duke in Huckleberry Finn (1974), and in The Front Page (1974), The Apple Dumpling Gang (1975), Finders Keepers (1984) and The Survivalist (1987). After living in Westport, Connecticut, for decades despite so much work in Hollywood, Wayne finally moved to Santa Monica in 1977. David Wayne was married for fifty-two years to Jane Gordon; they had a son, now deceased, and twin daughters. When wife Jane died in 1993, Wayne retired altogether, and died of lung cancer two years later.